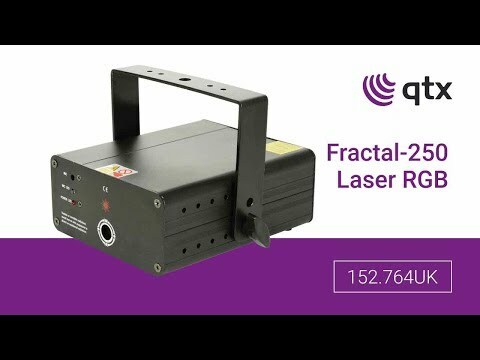 RGB effects laser with multi-point and spiral patterns to produce colourful rotating spiral images. Selectable auto sequence or sound-activated operation with adjustable microphone sensitivity give a choice of operating modes. Projecting against a wall or ceiling produces swirling geometric shapes and when used with fog or haze, a wide cone of moving colourful beams can be picked out to produce an attractive display.